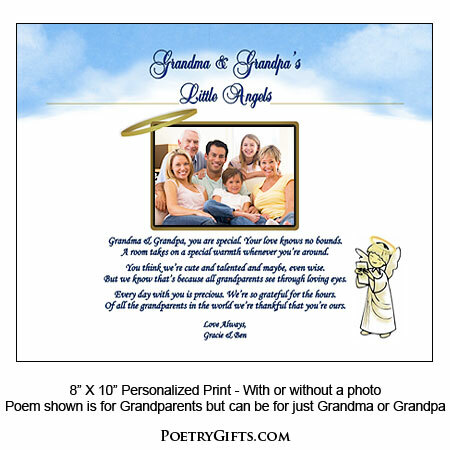 A special personalized gift for grandparents from their "little angel(s)." 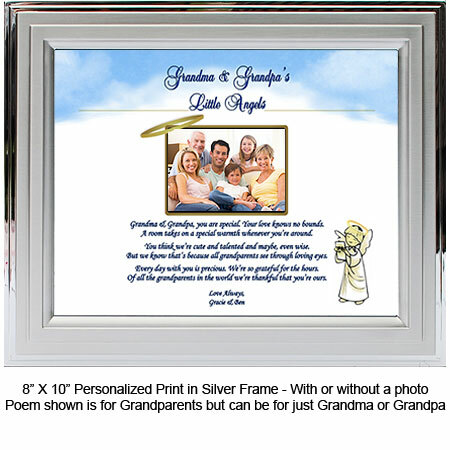 It can be personalized for both Grandparents or just Grandma, Grandpa, Nana, Papa, GaGa, Oma, Granny... Personalize with names and add a favorite photo and you have a truly special keepsake for a grandparent. 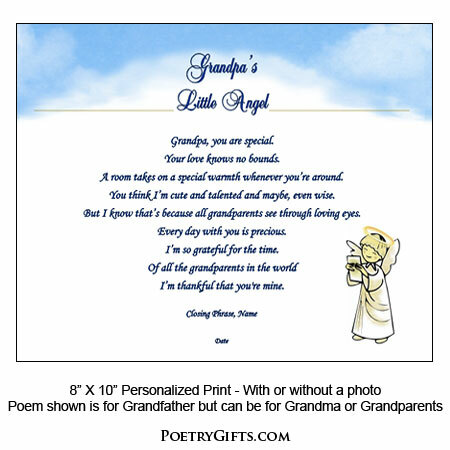 Touching sentiment in this poetry, customized for a Grandmother, Grandfather or both. Personalize this poem from one grandchild or two or more grandchildren. 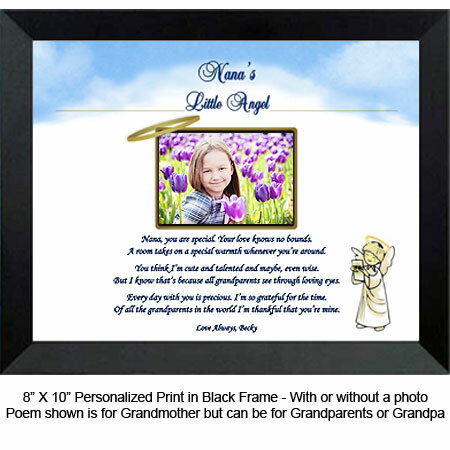 The poem is printed on specialty paper with an adorable little angel graphic and room for a treasured photo of their angels. Answer the personalization questions above to create a truly customized present that Grandma and Grandpa will proudly display for years to come. Special personalized gift for a Grandparent. 2. Closing Phrase and Name(s) (as seen after poem) - Examples: Love Always, Jayden & Emma; With Love, Billy; etc." Grandma & Grandpa, you are special. grandparents see through loving eyes. Every day with you is precious. We're so grateful for the hours. we're thankful that you're ours. I'm so grateful for the time. I'm thankful that you're mine.